Samantha did an amazing job at our wedding! We were looking for a day of coordinator that could help us out with set up, take down, and coordination during the event to help everything run smooth. She made it so that we were able to enjoy our wedding as a guest rather than trying to make sure everything was going according to plan. I would definitely recommend Samantha and her team if you want to be able to enjoy your special day and know that everything will be taken care of. So far, our experience with The Perfect Moment (Samantha) has been amazing. I talked with around 13 month of coordinators before deciding. She is affordable and super responsive to emails. Her reviews are amazing and she has a ton of experience. We added on vendor contract review for $150, and it's been so helpful. Our wedding isn't until July 2019 but she's already been so amazing! Samantha did an absolutely wonderful job coordinating the wedding of my daughter! I didn't have to worry about anything the day of the wedding and could truly enjoy the entire experience. I would highly recommend her to anyone looking for a wedding coordinator! Sami was so wonderful on our wedding day, and was so professional, helpful, and calm through it all! We are so grateful for our experience with her, as she made our wedding day go as seamless as possible. I highly recommend her to any bride needing wedding planning assistance! I had a wonderful experience with Samantha and The Perfect Moment as my Day Of Coordinator for my October wedding in the mountains. After debating if we should hire someone, I am so glad we did. She was very thoughtful when we originally spoke on the phone and I knew immediately it was a good fit. Our ceremony and reception were at two different locations about 30 minutes apart and her help setting up, organizing everything, and managing other vendors was incredible. She made sure that all the details were set and if there was anything that might have gone wrong, I still have no idea. Throughout the day and into the night we were able to be gracious hosts and spend time with all our friends and family without a care in the world. In a word: invaluable. Thank you!! Samantha and her team were beyond five stars! Samantha was incredibly professional, efficient, and highly effective throughout the whole process. We had a complicated outdoor wedding with many different vendors and complex set-up needs over several days. Samantha and Patricia made sure that every single detail of our wedding vision was executed perfectly. Samantha handled all the questions from vendors, as well as ensure the schedule moved along as planned and made it so we didn't have a single worry around the event. We were very lucky to find and get to work with Perfect Moment and would highly highly recommend them! Samantha and her team at The Perfect Moment were absolutely AMAZING!! 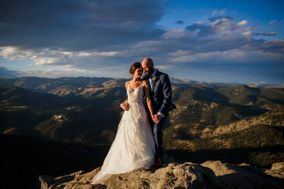 Matt and I planned our wedding in Colorado while living in Ohio and I honestly don't know how we would have been able to pull it off without The Perfect Moment and their services. Samantha attended meetings with my mom and sister that I couldn't be there for and really put my vision together. All of the small details that I had mentioned were included and we truly had a flawless day. Samantha coordinated all the vendors as well as helped out in other areas when needed; she hooked my dress up when my mom, sister, and I couldn't figure it out! I really, highly recommend The Perfect Moment!! Samantha did an amazing job! She was organized and timely which I loved! Samantha Rotter was EXCEPTIONAL! She was super organized and on top of every last detail. I didn't realize HOW NECESSARY a wedding coordinator was until my friend's disorganized wedding where she had NO coordinator. Make sure you hire Samantha Rotter for your wedding - you won't regret it!!! Samantha is the day-of/wedding planner you want for your wedding. 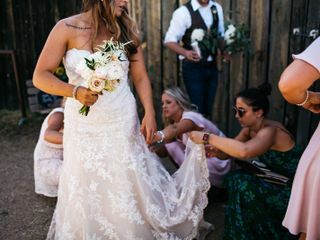 The Perfect Moment, via Samantha's experience and leadership, helped us plan for the best day every with 300+ people, multiple vendors and locations, and two high-stress people. She communicated regularly, provided helpful guidance, and made she we focused just on getting married. From planning with other vendors to delivering our gifts to our hotel valet the next morning so they would be placed into our car, she thought of everything. I would highly recommend The Perfect Moment to couples looking for someone who is calm, knows the details, and is focused on you enjoying your wedding day! We used Samantha as our day-of wedding coordinator. She was wonderful! Through the entire process she was very easy to work with, very quick to communicate, and took the stress out of the last couple days of the wedding process. At first we were skeptical about hiring a day-of coordinator, but we are so glad we did and so glad we found Samantha! I cannot say enough good things about Sami and her business. I was so glad I hired her. She did everything I asked, no complaints. Everything went so smoothly. She did an AMAZING job!! I would hire her again for any event!! One of my best decisions!! You will not go wrong giving you business to her! Samantha is a wonderful, caring person. 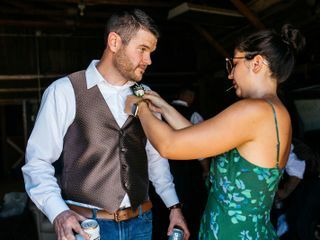 She is very dedicated and definitely helped guide us in the right direction to make our wedding day absolutely perfect. She always checked up on us and sent us referrals to use for our big day. She is very knowledgeable and professional. She gives great service and we absolutely loved her! Samantha Rotter’s services as a day of coordinator were worth every penny. She was very easy to communicate with and went out of her way to meet to discuss wedding details and provided advice about how to best structure the timeline. 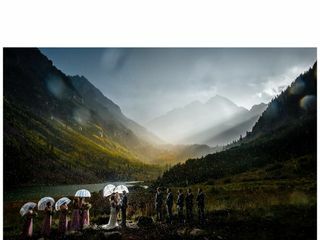 She travelled into the mountains for our wedding, coordinated with vendors, led our rehearsal and ensured everything went smoothly as our outdoor ceremony plans were shaken up by a thunderstorm. Samantha helped us clean up after our reception ended late in the evening. We appreciated her attention to detail and all her help to allow us to enjoy the day without having to worry about logistics. Samantha was amazing! The whole night went of without a hitch. My husband and I had the best time because we knew she had everything under control. She executed my vision for the wedding perfectly. It was nice to see it all come together. I appreciated all of her help and hardwork. Best money I spent on the wedding! Samantha really worked hard to make our wedding day amazing! I used her day-of-coordinator services. She was there around midday the day of our wedding, took over all communication with the vendors, set up the reception venue and made sure everyone was where they were supposed to be! She executed the timeline perfectly and prompted us for what was coming next so we could be prepared. After our exit, my family offered to help clean up, but Samantha took on the entire job solo so that my family could go relax and enjoy the rest of their evening. Above and beyond! We hired Samantha as our day-of-coordinator for our August wedding and she did not disappoint! I couldn’t have been happier, she contacted all of the vendors prior to the wedding day and made sure everything went off without a hitch! Samantha helped us have the perfect wedding weekend! She's calm, professional and organized and made sure we could enjoy our wedding without worrying about any of the small details. Samantha, was just AMAZING!!! Very professional, knowledgeable and service was outstanding!! She was organized, calm and great to work with. She definitely made our day and made my son and daughter in law's day THE PERFECT MOMENT!! 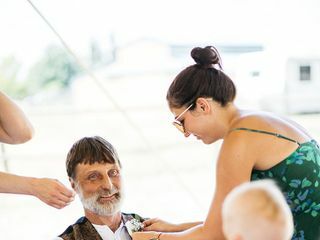 As she simply stated " you want to be a guest at your son's wedding", not worrying about all the many small details, which there are. Worth every penny!! Samantha was timely, caring and affordable. She was always there to help in a time of need. Thank you Samantha!! Sam is an extraordinary planner and made our planning process and day-of absolutely seamless. Her organization, eye for beauty, attention to detail, patience, and follow through are incredible. I was impressed (and so much more relaxed) from the first time we met her, she meet us at our venue with a tape measure in hand! This gal does not miss a single thing! She is easy and very fun to work with. I truly believe we would not have been able to pull it off without her!